Aquarium Algae Eater - The Best! Aquarium Algae: Find out what the absolute best algae eater is for your tank. These creatures are not only a terrific clean up crew, but an awesome creature to watch and enjoy. 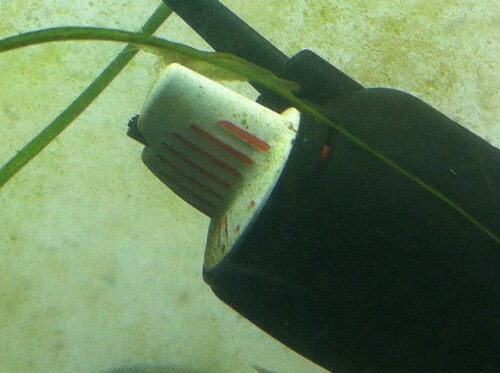 The creatures we refer to are, of course, the Fresh water Aquarium Shrimp. 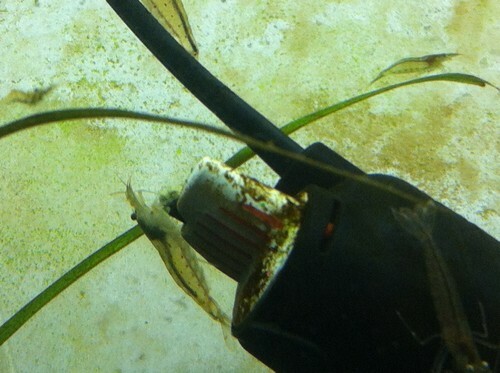 These little guys are, by far, the best algae eaters you can find. From Amano and Red Cherry Shrimp, to the Crystal Red and Tiger, these tiny guys spend their day scavenging the aquarium floor, walls, plants, heaters, and more, devouring Algae. Just a little while ago, I decided to do a small test to prove to anyone what a great job these dwarf shrimp do. I had a small 10 gallon tank that was really getting bad with algae....it had been neglected for quite awhile. 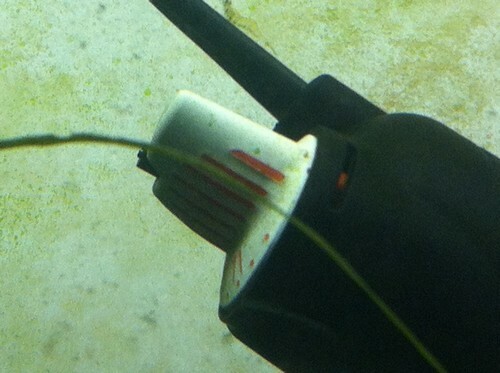 I dropped in about 30 or so Amano Shrimp and snapped a photo of the heater. The next day, around the same time, I snapped a photo of the same heater and the same location. As you can see in photo A and B, that is quite a difference for just 24 hours. I took another picture on Day 3. While the difference is not as noticeable, it's still a great improvement. There are many algae eating fish and such on the market, but I say, why not go with something that is so unique like the aquarium shrimp? And like what I said prior, these small shrimp are great at doing their job, but to watch them gracefully swimming throughout the aquarium is truly an enjoyable event as well. Not only do they add excitement to your exisisting tank, most varieties will add superb color to the scape as well. Add Red Cherry shrimp or the Blue Velvet species to your aquascape, and watch their color "pop" against the plants and/or substrate.